So.... planning. It's something my son covets dearly. HE LOVES to know what is going on so he can plan his life out around mine. Do you have a child like that in your home? ONCE he knows what is going on, he's content. He will frequently double check as the day goes along... but overall, once he knows he's content. It's been a work in progress and I CANNOT tell you for sure if this system will even work for him. What he wants is a scratch paper write out, but I find when I do that, then either I put too much on the paper (cause I write everything down we want to do) or I forget things and the lad gets stressed because I'll say "OH, I forgot about "X"" OR I just don't get the list written. Which means tons of questions all day long. I am hoping that this method works better than that the one I was hoping to do this year (Mama Planner) and is less labour intensive than this paper method I tried. The paper method kinda worked. Really it did. It went through several metamorphoses...but the checking things off and getting confused about meals and stuff... it was WAY more work that what either of us wanted. You may be able to see that I colour coded it. Grey for the dailies, Pink for astonomy, blue for veritas press, green for math and such like. We've needed to work things out.. like astronomy and German only happen three days a week. But I digress. I just used a $10 calendar from Costco. not too expensive, easily dumped if doesn't work, but I genuinely think that this will give him a good overview without causing stress, and letting him know what to expect for the next day. Don't you just hate it when you are looking for a pen or pencil and you just can't fine one? Or if you have a child constantly saying, "MOM, do you have jar I can use to do _______? Do we have any wood in the house mom??" or "HUN! I need tape! Where is it?!?!" All these questions....repeated constantly....with the needful demand behind them, and sometimes I felt like I couldn't keep up. Pencils and erasers in one drawer. On top.. our cardstock... useful in the making of minecraft figures, and other papercraft items. Useful to for making unit study/modified colour lap books. Pencil crayons and pens.. all in one spot. Markers and compass kits. Sorted and easy to locate. And our Lego.. not the neatest right now and my giveaway pile of books is sitting in the way, but when it is organized we have room for lego creations to sit on top, and pieces are sorted by type and size. Makes it SO easy to build lego which makes me happy. I used to scrapbook. I don't do it anymore, but I still have my scrapbooking drawers. :) Some of them still hold the remnants of my scrapbooking, which unsurprisingly, are useful with creative children. I've added two rolls of tape drawers, and a paper cutting drawer. oh.. and I think I have stencils drawer in there somewhere too. The sticker and paper drawers remain (though their supplies are getting reduced). I do not consider that a bad thing. Between the table and the window I have my large storage bins. When you have a child who can and will make items out of anything, having "stuff" to make it from comes in handy. :) It goes up and down in the amount of materials available as I regularly purge it (or bring it along to craft based co-op days), it works...and keeps it all contained. A good thing that eh? So tell me.. how do you store things such as legos, pens, pencils and what not. What have you done to ease the craziness? Part One, Organized Chaos - Science Materials. The Canadian Homeschooler is doing a blog round up this month on Tech. Tech in the Classroom. Share anything related to tech: apps, websites, minecraft, netflix, youtube, etc.) I am sitting here thinking... WHAT DO I WRITE ON!?!?! Why is this stressing me out so much??? Since I didn't know what to write, I thought I'd just start talking and see where the post takes me. You see...we like computers in this household. The lad has a tablet, I have a laptop, we have a couple of desktops (one slow as molasses, the other faster and easier to work with), hubby also has a laptop, tablet (2) and some other gizmo which looks like a cross between a tablet and laptop. Cell phones are rather constant.. So what do we do.. we learn to talk more. "Mom, can I use your phone, I want to look something up". "Sweetheart, the computers are being a problem, how can we problem solve around the slow as molasses one?" "Son, do you think you can do your ____________ first while I work on this _________. It should take me half an hour to finish". Computers which can so easily erode conversation in a household (the actual words talking) and at least for now in our household...promoting more conversation, helping to teach patience and understanding, sticking to timelines, and more. They are teaching a boy how to formulate good requests into google, and we're teaching him discernment, as not everything on google is accurate...being accurate matters, finding new ways to say it, words, words and more words ..it's good eh? But in the meantime... we continue learning. What has tech done in your house? By the by, the link up goes live on Wednesday, you can find it here. Kinda combining two posts in one today. :) Tips for Homeschooling Parents and Kate's Word on Friday. Kate's word for today is Decide. Kate's Five Minute Friday linky is supposed to only take five minutes to write, but I may cheat a little or write super dooper fast.. we'll see how it goes eh? You have to make decisions in your homeschooling journey, just like you have to in the rest of your life. 1. What method of education will be your primary type - books, hands on, montessori, charlotte mason, eclectic, textbooks, living books etc. 3. What materials or lack thereof you will use - unschooler? Books? Computer based? 4. What your budget will be? Focused on free? Frugal? Sky's the limit? 5. Will you join a co-op? 6. What curricula will you use? Everything laid out? Make your own? Combination? 7. What planner will you use to keep sane or will you just fore-go this? Having to DECIDE will surround your life. People will challenge your decisions. You'll see what others are doing and question them yourself. It's part of the lifestyle.. and don't kid yourself, homeschooling does become part of your lifestyle and that's okay. You need to realize that if you are making decisions for the good of your family as a whole, it will all work out in the end. Because in the end of it all.. your children have decisions THEY need to make as well.. it's not all on you. You do the best you can, leave the rest to God and to the ability of your children to make decisions. Now DECIDE will you be okay with whatever decisions you make? Working and the Homeschool Life. Tips: Knowing when to take a break. Day four of Tips for Homeschooling Parents. Today's Topic: Dealing with Curve Balls. What might you ask inspired me to come up with this topic? Yup. It's a possum. Biggest one I have ever seen. This opossum was our curve ball today. You do know what a curve ball is? A ball that looks like it's coming straight for you, but it swerves away unexpectedly? We didn't see this beastie coming, but we took advantage of him when he did. THAT beastie was our curve ball today. It was a moment to take some time to learn about possums, to do some research, to figure out how to remove him from our property in order to keep him away and to see if he was our mystery predator. Possums are actually good for the environment in that they clean up dead stock really well. BUT they are NOT good to have around small stock. They'll eat mice, grubs, garbage, insects, rats, other small mammals and what not. Based on the size of this fellow I'm guessing he's the one who killed some of our young bunnies and one of my son's tanks of mice. My Lad, instead of doing his science or his math today, had a chance to give this fellow a good look over. First thing he noticed was "HE STINKS". And he did... I have to admit.. this opossum, STANK. I don't know if it was his natural body odour or if it was his "smell defense" that possums can do. The Virginia Opossum (Didelphis Virginiana),is not native to Ontario, they came as visitors and decided to stick around. The stink of him made us keep our distance from him. Notice was made of the long tail, the mouthful of teeth and the loud hissing noises directed our way. This fellow was large one so we took the risk of moving this territorial fellow. He discovered, far from our home, a LOVELY forest in which to now dwell....he left rather eagerly hissing at us as he left. Curve balls are just that you know opportunities to learn in a different way. Whether it's the unexpected one like illness that changes what our week looks like, dastardly predators caught, accidents or the like. OR if they are planned curve balls like planned surgery dates (coming up in April), co-op times, or whatever... Curve balls can be viewed with suspicion or dismay, or as an opportunity to do things differently and to learn something new. How you handle those curve balls is up to you, but I do suggest that you get ready for them, because you will always find they come your way. Others from the Crew are taking part in this five day blog hop as well. You can find the whole list here, but below I've listed a few people just to get you started. Day Three of Tips for Homeschooling Parents. As I write this post I have a pounding headache and a drippy nose. Fun isn't it? NOT. I have a boy avoiding me (who has had this same cold) and a hubby being kind to both of us as he finishes up the cold he managed to bring into the house last week. So as I bleariedly eyed my computer screen thinking what I can I write on, I thought of a conversation I had with my lad over breakfast. Me "Son, we really should try to get some schooling done today"
Son "No, mom, no no"
S: "Just no mom, we can do other things today". This is so NOT my son. Usually he'll say "I can do my Veritas press and my science and my......" and then can we think about if I have to do anything else? This lad LOVES his on-line schooling. Everything else he could toss out the window (what child couldn't) but his on-line stuff I never really have to even ask. AND THEN the clincher.. He disappeared. ALSO not like my boy child to do. Think perhaps that's a hint that today we should let our colds get the best of us? Sometimes as parents we need to do that. Just as if my lad had a bad cold I wouldn't send him off to a public school, just because we are at home schooling, doesn't mean I need to push schooling just because he's home and I can. My lad has had flus, colds, not feeling well days where doing school was totally not an issue. But when he's acting out of character... that's when I find I need to simply listen. Don't you find it the same in your school? Today is day two in the five day blog hop. And I have to admit I really waffled on what to write about today. Music? Faith? Life happens? Work? I finally settled on work. I touched yesterday on the fact that my hubby is a pastor. We are part of a small congregation in central Ontario. We do okay, but not as great as we'd like financially so due to my love of critters I have a small business running a rabbitry. It's called AT Home Pets. I raise and sell rabbits and guinea pigs. It's a lot of work to care for them. I help my son raise mice. click image to go post. The question is of course, since you might be thinking, so what.. you have a business, big yip. What does that have to do with homeschooling? I mention all this because like may people in the world it is sometimes a struggle to make ends meet. To purchase curriculum, to buy supplies, and clothe children. My hubbies work provides for necessities in life like shelter, food, medical issues, gas and such things. 1. opportunities to teach my son good animal husbandry skills. Healthy animals make for easier to care for critters, easier to find them homes, better food sources for animals that need them.. remember he raises mice.. his biggest buyer is the local raptor rescue. He gives them a discount because they help birds of prey get healthy after running into trouble. He's had to help me think through the type of bedding we use, housing issues, what colours to pursue and such like. 2. opportunities to learn good customer service. How to be nice with people, friendly, help them discover the joys of owning a pet mouse, to figure out what size of mouse their snake can eat, and so forth. To write good animal care sheets for the rabbits and guinea pigs and to continually learn so that one can properly educate people when they ask questions. 3. opportunities to do real life math. If 10 mice cost "X" amount and the guy asks for a deal, what are you willing to do? Are you going to ask him to buy two more and throw one in for free? Will you say no? What if they want free delivery on top of that? He's learning that good customer service doesn't mean saying yes to every request. I thought I would need to teach him to save for a rainy day... but this boy is a natural money saver. He weighs out his purchases carefully which is really nice to see. He hates that I make him pay part of the mouse food bill but it's part of having them right? He gets the income, shouldn't he bear part of the price or raising them? 4. opportunities to deal with the less than polite people. Granted I've shielded him from most of this, but he sees how some people react to the selling of rabbits and guinea pigs (and to a certain extent the mice). Animal Rights Activists aren't the funnest people to deal with, and he's seen how I've learned to be protective of where I live and how we do things. 5. Opportunities to teach others about animals we know and love. It amazes me how often people will leap into something without first doing their research. Selling animals allows us to interact with people, teaching them how to care for their animal, what should and shouldn't be done and guiding them to good sources for information. There is so much misinformation out there about how to care for animals it's great to guide people to reliable sources. 6. Opportunities to learn time management. It's not always easy. Currently I am dealing with a person who wants to buy an animal on Sunday afternoon. I don't do business on Sundays until after 6 p.m. This individual is struggling to work around that and it's hard to stand firm.. but family and God is important you know? It's hard to work around homeschooling needs, family needs, faith issues in a "we want what we want when we want it NOW" society. Sometimes it means lost sales which used to be upsetting until we learned this.. the instant gratification people won't have done their research and do we really want our animals going to people who are like that? Teaching that long term perspective has been eye-opening for my lad. 7. Opportunities to learn new skills. Whether it's learning how to put together worksheets or curricula, or finding out the latest research on mites in guinea pigs, or how to deal with malocclusion in rabbits, finding out what threatens birds of prey... there are always ways to think and improve and do what needs to be done. Right now we are dealing with a rat problem which with the help of the internet, friends, neighbours and other business people we WILL tackle and keep our animals safe from harm. We are happy to live and let live, but causing harm has repercussions. 8. Opportunity to be your own boss. I HATE, yes indeed I will freely admit it. I hate to be ordered around. I love being able to be responsible for my own decisions and the running of my own business. Being told what I can and cannot do irritates me to no end. So working a job for someone else gives me added stress (which if I have to I deal with) but the freedom of choosing what I feed, how I care, and such like.. I love that freedom. I disliked working a 9-5 job and dealing with the politics and rivalries you get in a workplace. Here... the rabbits don't argue with me.. they may stomp their feet for "FOOD NOW! ME FIRST!!" but they don't talk back or jockey for importance. Most customers are easy to work with and doing this is a joy. You will find other members of the TOS crew participating in this five day blog hop. The whole list can be found here, or you can start with the folks listed below. 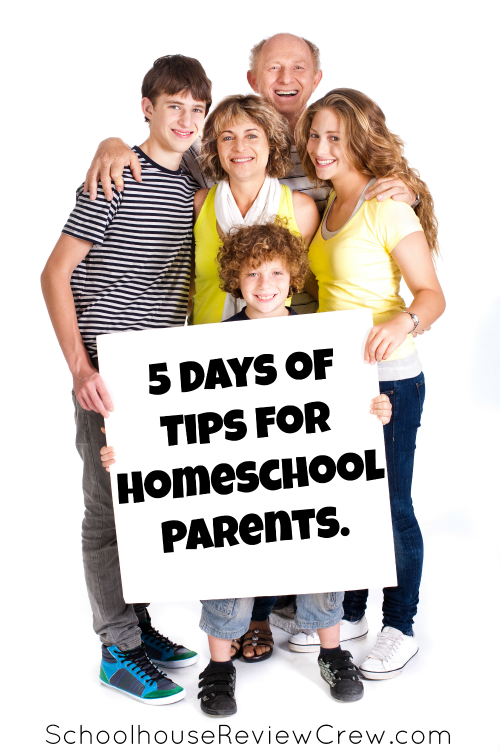 Follow Every Bed of Roses's board 5 Days of Tips for Homeschool Parents. on Pinterest. Today I started reading a book about William Cowper. I chose this book to read because, as you know my dear readers, I like to do hymn studies and I recognized his name as a hymn writer. I thought it would be neat to get to know more about him. The first thing I learned was that he was an advocate for home education. To that end he wrote a poem called the Tirocinium. Review of Schools by William Cowper. His right of empire over all that lives. Still to be fed, and not to be surcharged. Guides the decision of a doubtful choice. With such a lustre, he that runs may read. And man would breathe but for his Maker’s shame. At once the dreaming mind is disabused. Nor ignorantly wandering miss the skies. With wholesome learning, yet acquired with ease. Which children use, and parsons—when they preach. The wisest heads might agitate in vain. And guides the Progress of the soul to God. The gem of truth from his unguarded soul. Replete with dreams, unworthy of a man. Religion makes the free by nature slaves. The meteor of the Gospel dies away. Is not to find what they profess to seek. Soon lose their credit, and are all effaced. In infidelity and lewdness men. Your pupils strike upon have struck yourselves. To ears and eyes, the vices of the rest. Should make the little ye retain still less. Of poets raised by you, and statesmen, and divines. And no such lights are kindling in their stead. While colts and puppies cost us so much care? Our innocent sweet simple years again. We feel it e’en in age, and at our latest day. Watch, seals, and all—till all his pranks are told. Just in the scene where he display’d his own. Great schools suit best the sturdy and the rough. The event is sure; expect it, and rejoice! The pert made perter, and the tame made wild. They risk their hopes, their dearest treasure, there? They hear him speak—the oracle of law. In coach with purple lined, and mitres on its side. A public school shall bring to pass with ease. As must create an appetite for prayer? In all true worth and literary skill? The knowledge of the World, and dull of thought! By learned clerks and Latinists profess’d. Shall give him consequence, heal all defects. Sweet interjections! if he learn but those? We sometimes see a Lowth or Bagot there. Soon shows the strong similitude reversed. For wages so unlikely to be paid. Not brighter than in theirs the scholar’s prize. Such mischiefs after it, with much applause. And small academies win all the praise? But, watch they strictly, or neglect their charge? Different in size, but in effect the same. Claims more than half the praise as his due share. The whole reproach, the fault was all his own. Father, and friend, and tutor, all in one. Seem with one voice to delegate to you? A parent pours into regardless ears. Which admonition can alone disperse. But conjugated verbs and nouns declined? A wish to copy what he must admire. His mind inform’d, his morals undefiled. With some such Mentor always at his side. A man deem’d worthy of so dear a trust. He deems it hard to vegetate alone. Through reverence of the censor of thy son. Here Nature plead, show mercy to thy son. Your wisdom and your ways—to you I turn. Serves but to show how black is all beside. Of natural pity, send him not to school. Thyself in miniature, thy flesh, thy bone? And give thy life its only cordial left? To compass that good end, forecast the means. Howe’er he slight thee, thou hast done thy part. A sight not much unlike my simile. Extravagant or sober, loose or chaste. Or better managed, or encouraged less. Lisa, over at Canadian Homeschooling has issued a challenge. Can we take 20 days to organize our homeschooling? 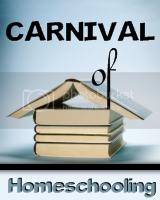 I thought it would be fun to do a post walking you through how I organize our homeschooling. Week by week. So, anyways, that's where I had them last year. Now that I've moved them they are next to his table/computer. Immediately to the right of this is his table. If he turns his chair around he is sitting next to me at the big table where we do our joint work. These drawers hold our rulers scissors, pencils, erasers, shapeners etc. Our papers on top are cardstock which my son uses to make his many papercraft figures, we also use the cardstock for doing unit studies and lapbook type studies. Stencils, markers, special crayons for our daily activities board. Pens and pencil crayons next door. So come join the challenge. It's up on Facebook HERE. If you are Canadian you can join in on the challenge and enter a draw HERE. I don't know about the circles that you run in, but in mine... many homeschool teachers have a subject that isn't so easy to teach OR simply isn't received well. For me... teaching art is a challenge. For my son... doing math is WAY on the bottom of his list. What is THAT subject for you? What about for your child/student? As teachers, if we have a problem area, an area that is harder to teach we have all sorts of options available to us for teaching it. 1. If not a core subject we can drop it. Let it be something that a child can pursue when they mature and are interested enough to pursue it on their own. 2. Source it out. Get someone else to teach it. 3. Research and find materials to help you teach it. Seven different steps to take. 3. SHORT sessions. Seriously. Right now my boy is trying to understand Commutative properties in basic algebra. I don't get mom. Doesn't make sense to me. I could get all stressed about it, but what I've learned to do is the following: Watch a video....twice. And then stop. Walk away from it. Two days later (so tomorrow) I'll read about it with him. AND thats it. I won't try to explain it. I will just let it set with him for a couple more days. Then next week Tuesday we'll watch the video again. By then the stress of figuring it out will have eased, and some of the wording will have sunk in and we can look at it with clearer heads again. 4. Give permission to fail. Remember this: It doesn't matter how long it takes to learn a concept as long as it's eventually learned. 5. Back up a page if you need to. If a new concept is too hard, just back up to something a bit easier or break it down into smaller parts. 6. Slow and steady wins the course. In a culture of immediacy it's hard to remember that taking time is not a bad thing. Cementing the learning in a steady way is a good thing. 7. Ask questions to help gain additional learning. Don't be afraid to ask questions or even to answer them. This post is part of a blog hop with a group of delightful women. Here is a partial list to get you started. For the entire list, check out this post.